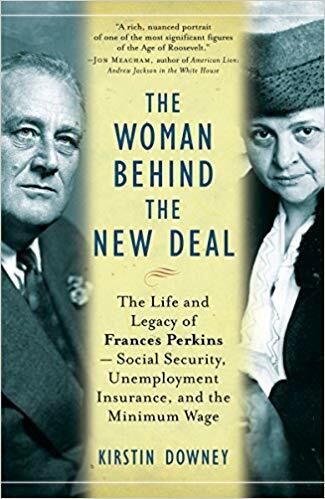 The Woman Behind The New Deal tells the life and legacy of Frances Perkins, the first female Secretary of Labor. The author writes of Perkins’ drive, caring for a husband with a mental illness, the conflicts with her daughter. She tried mightily to keep the family together while also trying to achieve legislative goals. Each time I read a book on Roosevelt or like with this book on Perkins, he not only allowed but let members of his administration try to meet their own goals not just his. Sometimes Roosevelt adopted his or her legislative goal and other times he let him run with it on their own. It is I think a very important thing he did that let allowed someone like Perkins to improve all our lives for generations to come.